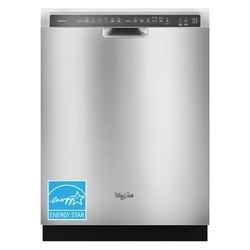 This Whirlpool WDF510PAYS built-in dishwasher features 5 cycles for thoroughly clean dishes. An eco wash cycle helps you save energy with sparkling clean results. Electronic controls offer easy operation of all settings. Flexible capacity accomodates large loads. 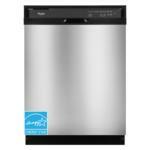 Heated dry ensures dishes are dry and ready for use or to be put away at the end of the cycle.